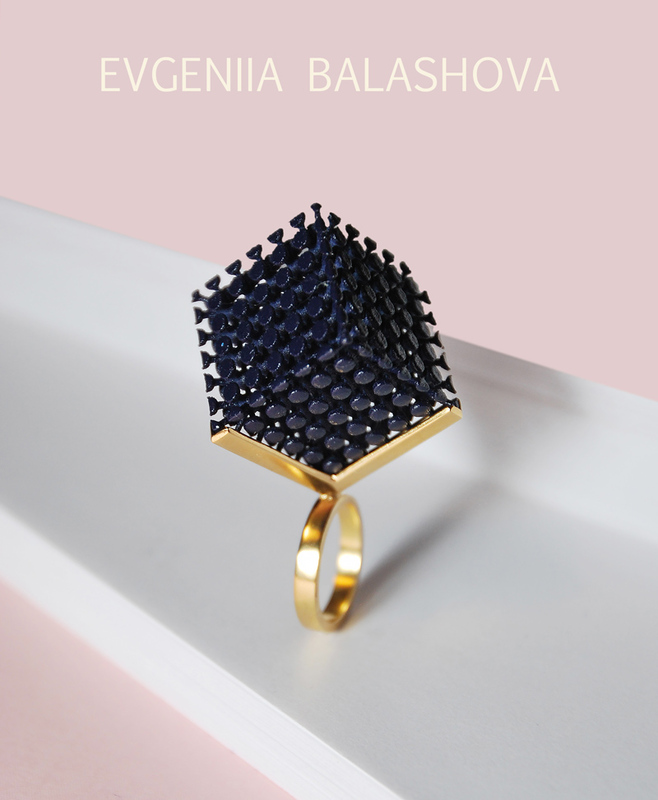 Evgeniia Balashova is a Russian born jewelry designer and maker. Eve received traditional training in painting and drawing in Russia and continued her studies in metalwork at The Glasgow School of Art graduating in 2016. 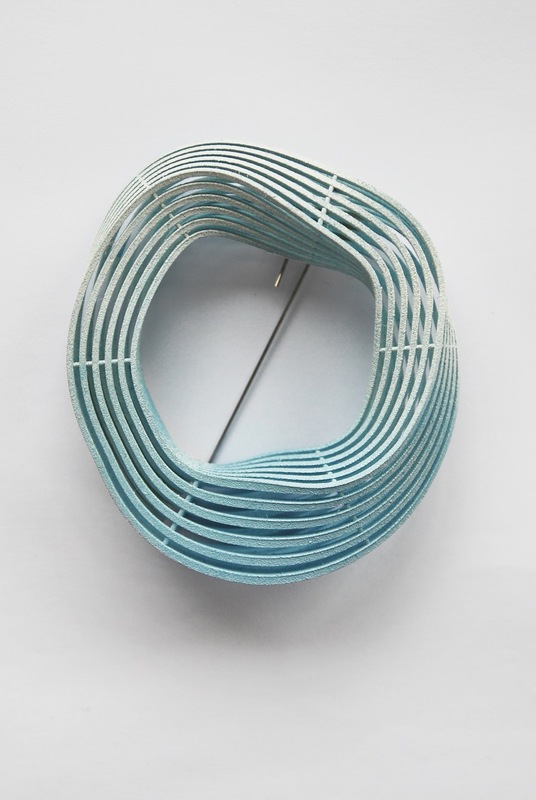 She started experimenting with 3d printing in her final year at GSA, concentrating on a contrast between smooth flowing curves and strict geometry. She has been exploring the possibilities of 3D printed nylon ever since, playing with scale, textures, tactile and kinetic qualities of the material. 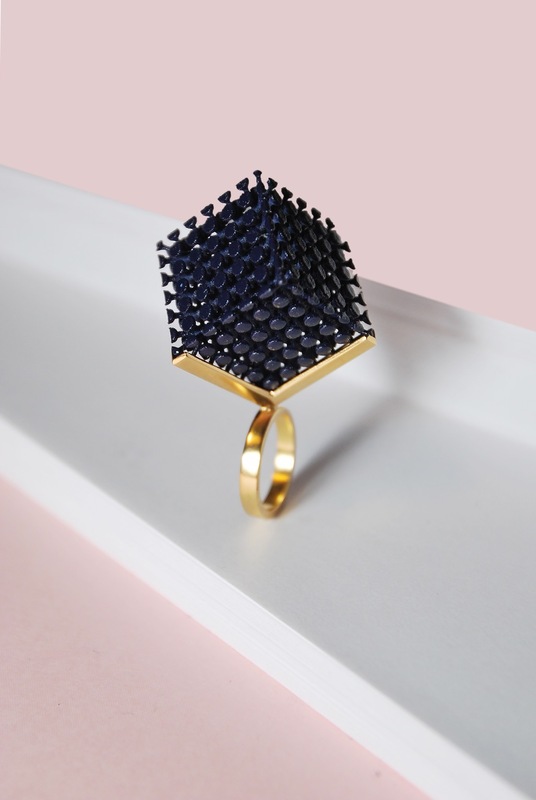 Eve’s metalworking skills allow her to merge 3d printed nylon with Sterling silver and gold, creating unique visually captivating compositions and colour combinations. 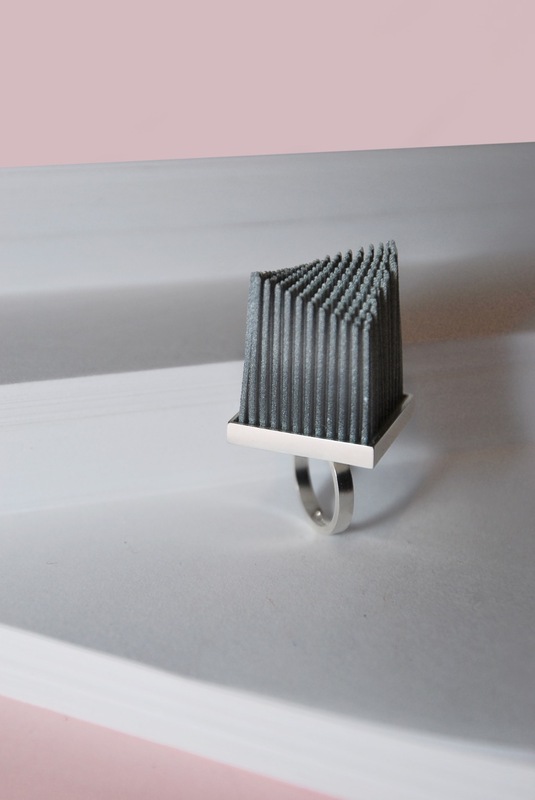 The inspiration of Evgeniia’s work originates from office environments and items that inhabit them. The monotonous nature of these spaces inspires repetition found in the 3d printed elements of Evgeniia’s designs. She uses basic geometric shapes and creates grid-like structures in 3d modelling software, breathing in vibrance and volume into simple forms. Every piece is carefully hand painted using a curated selection of colours.